To overcome the difficulties associated with monitoring the hydrophysical properties of water in deep wells, researchers of the Desert Research Institute created the "chemtool." The chemtool, based around a CR10 datalogger, consists of a stainless-steel tube, which connects to a sensor bulkhead containing up to five sensors. 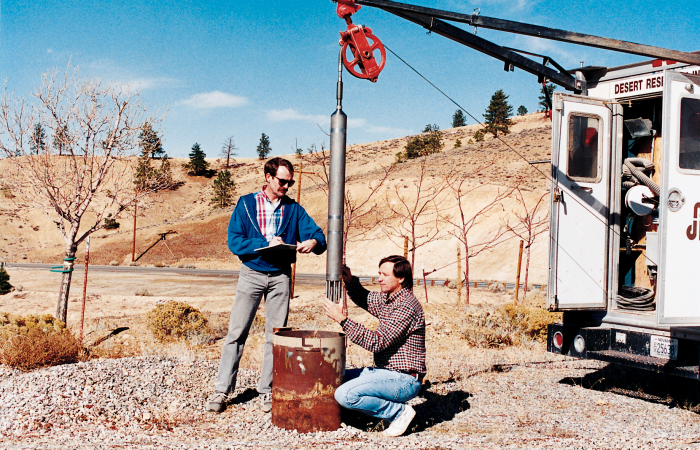 The tool is lowered into wells on a standard four-conductor well-logging cable and has maximum depth of 1,050 m. Another datalogger is used to monitor the depth of the tool. The two dataloggers are time-synced so the chemtool and depth data can be integrated during post-processing. Data from the chemtool have been used to identify inflow/outflow and varying water quality zones.